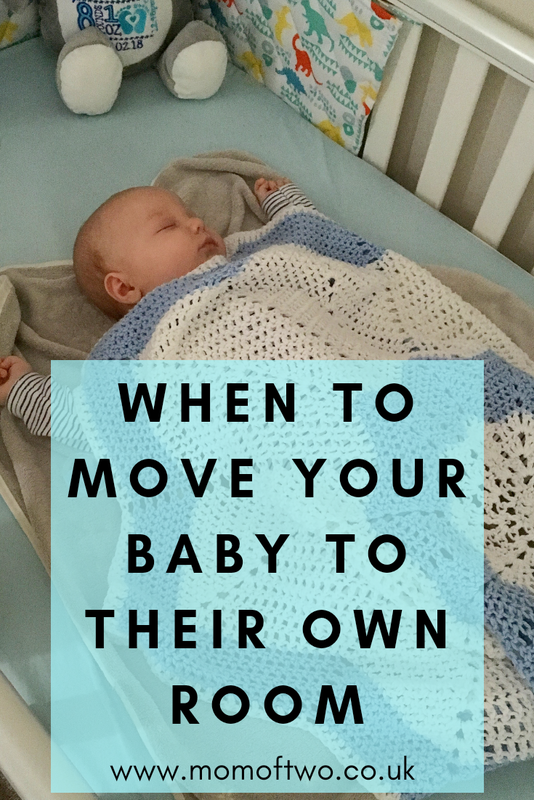 Ah, so you're wondering when to move your baby from their moses basket and into the nursery? It comes for every parent - some sooner than others as you'll soon see. The current advice (I think) is to have babies sleep in the same room as you for the first 6 months of their life and preferably until they turn 1. 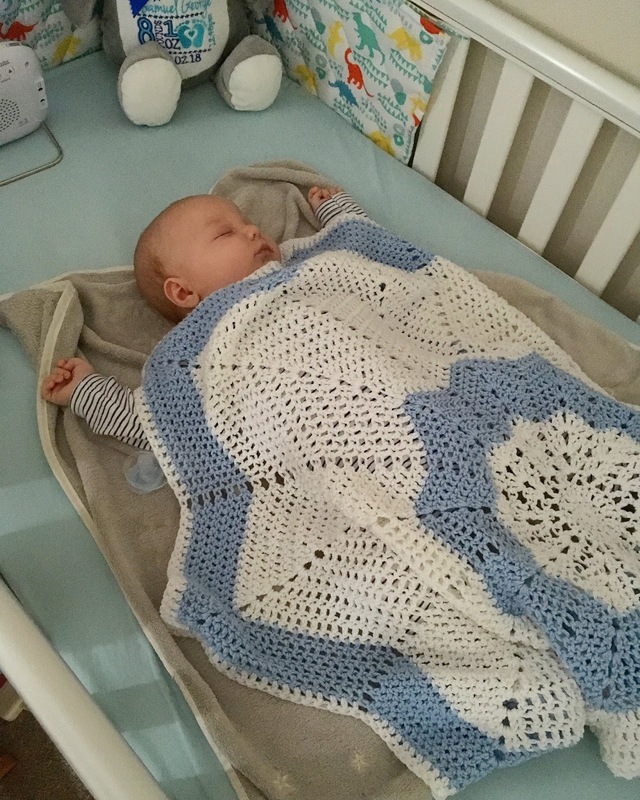 This is to reduce to risk of SIDs as apparently the baby can hear your breathing and will fall into the same pattern, essentially 'reminding' them to breathe. Now, this is great advice for the majority of people. However, what happens when your husband starts work at 5am and wakes the baby up getting ready? Or you (or your baby) has a cough and wakes everyone else in the room up? Or you have one of those babies that is a really loud sleeper? Those 6 months drag and pass in a haze of complete sleep deprivation and daily tears where you just physically and mentally cannot cope with the lack of sleep. I moved both of my children into their own rooms way before 6 months and it was the best thing I could have possibly done for my own sanity! My eldest, Sophie, was a very loud sleeper! So even though she was asleep, she kept me awake because of all her grunting, snuffling and shuffling around. Because my husband had to get up early for work and had a very labour intensive job, he slept in the nursery while she was in with me so that his sleep wasn't getting disturbed. He then got up with her on weekends so that I could have a lie in and catch up on the sleep I was missing in the week. I lasted until she was 9 weeks old and then decided to try her in her own room in her cot. I wrestled with myself for the entire day that I'd made the decision but told myself if it didn't work, I could just bring her straight back in with me. 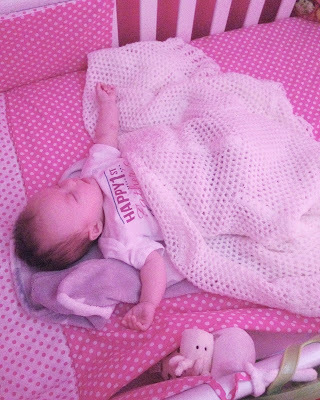 I won't lie, she looked beyond tiny in that massive cot but oh my god why didn't I do it sooner?! I'm not going to sit here and tell you that by some miracle, putting her in her own room suddenly meant I was getting a full and undisturbed nights sleep every night. But what it did mean was that I could get some sleep while she was asleep instead of being kept awake by her noisiness. It was a game changer. I was better rested and I actually got to share a bed with my husband again. When she was finally sleeping through the night at around 28 weeks old, we started taking it in turns on the weekend to get up with her so that Jacob could get a lie in too. I had a video monitor and for the first week or so, I was constantly checking it. As my sleep had been disrupted for a while, I found I was waking needlessly in the night but this was just my way of checking on the monitor to make sure she was ok. Honestly, that monitor was a godsend! When Samuel was born, we did pretty much the same thing in regards to sleeping arrangements. Since we needed the cot for the new baby and we didn't want Sophie to feel like her brother had taken her bed away from her, we'd already swapped her over to a toddler bed and put the cot in the nursery. Jacob slept on a sofa bed in Sophie's bedroom (which she thought was brilliant) and I had Samuel in the bedroom with me. If I thought I was sleep deprived with Sophie, it was way worse with Samuel. This time, the problem wasn't a noisy sleeper. It was that he was a light sleeper. If I rolled over in the night, it would wake him up. If he jolted, like most newborns do, he would wake up. At just 6 weeks old, remembering my success with his sister, I moved him to his own room. Unfortunately, it wasn't quite the success that I'd pictured but it was still an improvement. I bought a sound machine that played a variety of white noise options and didn't have a time limit on it so that I could have it on all night. It definitely helped with blocking out some of the noises that would have woken him up ordinarily. We still use it now at 13 months old. Unlike his sister, Samuel was 11 months old before we had consistent sleep throughs, and even then, it was only about 70% of the time. I'm praying he naps for longer than Sophie did as she stopped napping altogether at around 18 months old. His naps are a much better length though, so fingers crossed this is the trade off for his night waking! When did you move your baby to their own room? Let me know below! This post contains affiliate links. These are of no extra charge to you but I do earn a small commission to help with the running costs of this website.